Here's something unexpected. 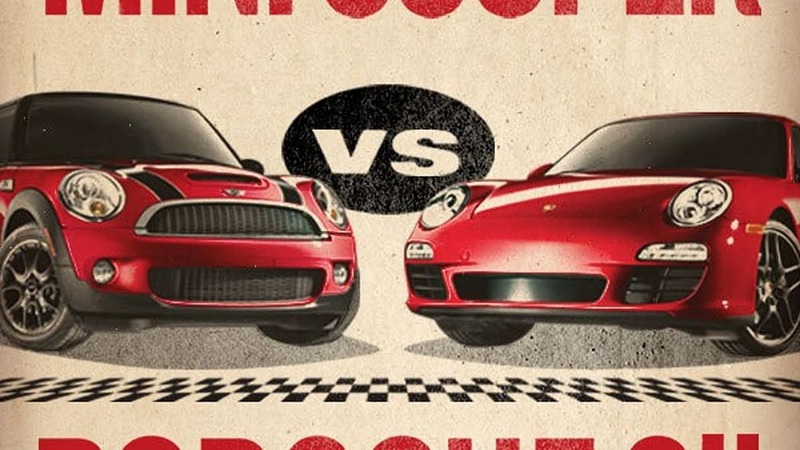 Mini USA has announced it's challenging Porsche to a formal race, where the go-kart-like Cooper S will take on the infamous 911 Carrera S. This may seem like a far stretch, seeing as how the Cooper is down on power by over 200 horses, but Mini is confident that its more nimble, lighter hatch can out-maneuver the big 911 on the track. This certainly isn't the first automaker challenge we've heard of this year, and we're hoping Porsche steps up to the plate. The event will take place on June 21 (that's in two weeks!) at Road Atlanta, which as Mini points out, is right around the corner from Porsche's North American headquarters. 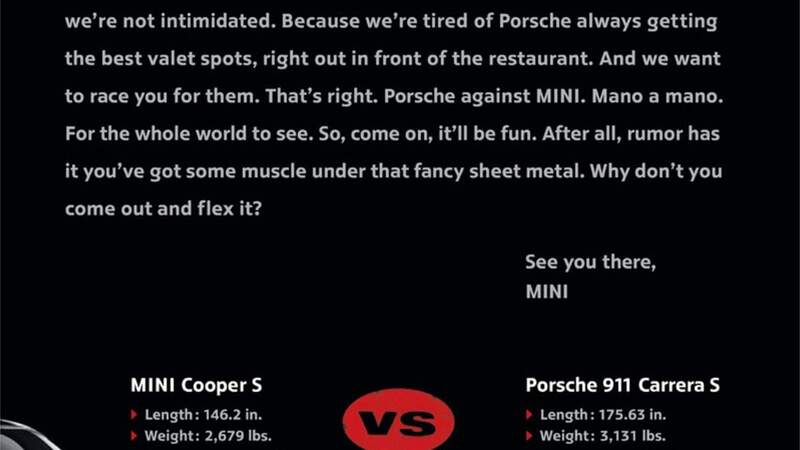 In the video found after the jump, Mini USA's president, Jim McDowell (a former Porsche executive, we might add), explains the whole deal, and says that if his team loses, he'll wear a shirt that reads "We did not beat Porsche" at his next public appearance. Likewise, he has a "We beat Porsche" shirt prepped for the same occasion. Mini will be hosting a live video of the event on their Facebook page, as well as more information about the event. 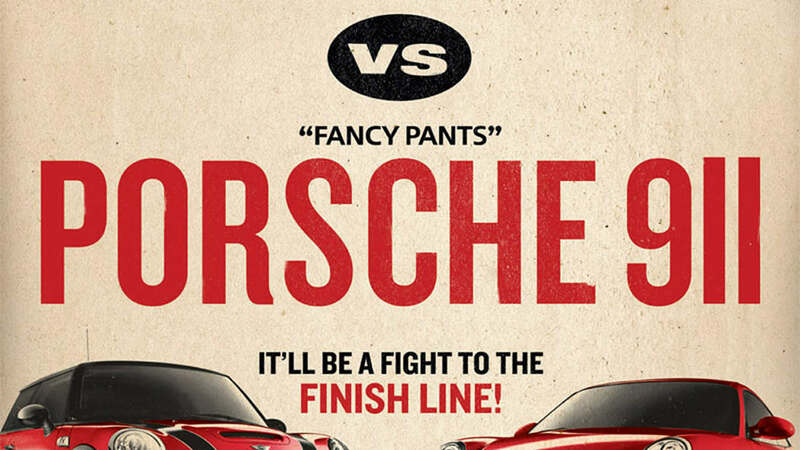 Will Porsche send out a 911 for the challenge? We certainly hope so. Let the games begin.